So for today’s post I thought I would share my current favourite palette by Make-up Revolution. I’m a big Make-up Revolution fan as I love buying make-up but sometimes I have to be a little strict on myself with me saving for a house etc so I can’t always go out and buy expensive make-up. I have to say although Make-up Revolution is inexpensive the quality is amazing and I love their eyeshadow palettes. I love the chocolate palette’s and seem to be collecting them as when a new one comes out I buy it straight away I just can’t help myself so a while back I picked up the Chocolate Orange palette which I have reviewed HERE if you’d like to see my thoughts properly. I decided to write about it again as it is honestly that palette I pick up on a daily basis and just adore it. So as most of the packaging for the chocolate palette’s it looks like a chocolate bar and the chocolate just changes colour according to what palette it is. As I said this is the chocolate orange palette so of course the chocolate is orange on the front (of course I didn’t take a picture – typical!) I also wanted to try this of the fact it may just smell like chocolate orange, it does and I love it. So in terms of eyeshadow shades, first off they are so pigmented I love it but it has 16 shades which are a mixture of shimmers and mattes and most of the shades are deep reds or purples which I love. I have to say I used to find reds or oranges quite scary but now I love wearing them. I am opening up to more colours now in terms of eyeshadow for my make-up looks as I feel like I want to start wearing more pinks and purples. The shimmer shades are just so pigmented and last all day they are so worth the money. If you have never tried any of the Make-up Revolution palette’s I really recommend them. 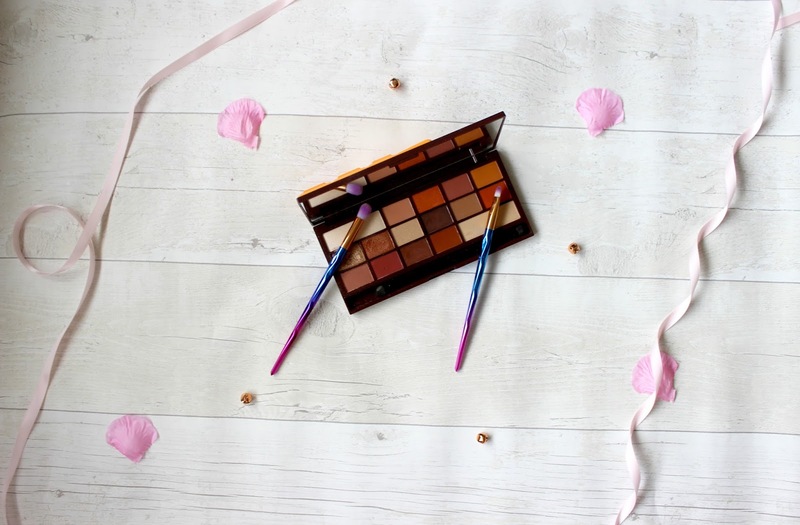 Do you own the Chocolate Orange palette from Make-up Revolution?